However, DNA alone cannot prove anything; DNA evidence must be combined with other types of evidence in order to arrive at a solid genealogical conclusion. As a result, it is impossible to be a genetic genealogist and nothing else. 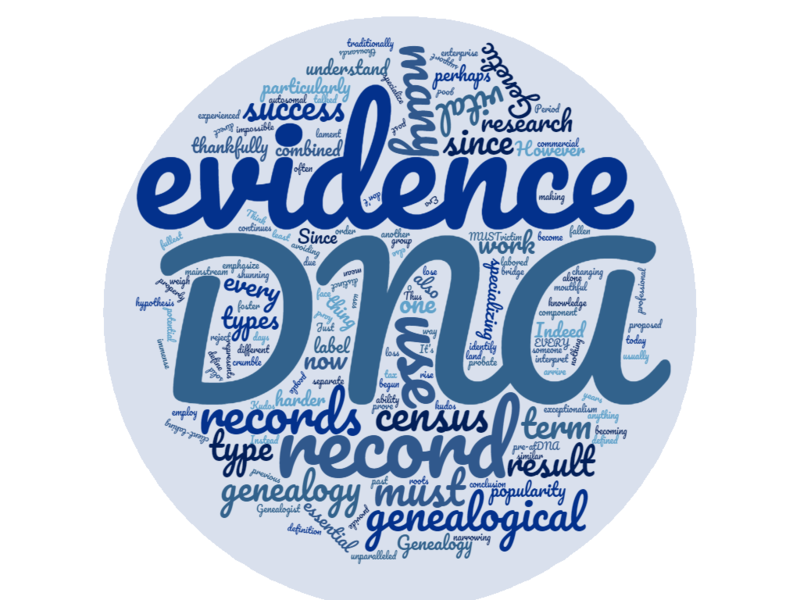 To use DNA evidence properly (or at least to its fullest potential), one must also be a good genealogist. ... Click to read more! But I need help! I have time to oversee and assist with the analysis, but I just don’t have time to do it all myself. If you have statistics experience or are otherwise able to assist me with this project over the next month or two, please contact me at blainebettinger@gmail.com. Include your experience and your interest in the project. Thank you! ... Click to read more! Unless you have direct knowledge of a relationship (and even sometimes when you do), you identify relationships using evidence that you’ve gathered from multiple different sources (including DNA, census, land, tax, vital, and many other types of records). ... Click to read more!